Kale belongs to the cabbage family and is carried by most markets and grocery stores. It’s considered the most nutrient-dense vegetable, which is probably why health-conscious individuals make sure that they have this in their homes. The “queen of greens” is packed with lots of nutrients and can offer health benefits you’ll love. Kale is an excellent source of glucosinolates, which has cancer-preventive benefits. It has at least four of these. Once ingested, kale is converted by the body into compounds that fight cancer. Among those that it can stave off are colon, breast, bladder, prostate, and ovarian cancer. This leafy vegetable is also beneficial in keeping the heart healthy. It’s a concentrated source of antioxidants and anti-inflammatory nutrients that prevent oxidation, which is the cause of plaque formation in the blood vessels. This will help lessen your risk of atherosclerosis. Similarly, kale’s fiber content helps bring blood cholesterol levels down. Did you know that kale is also good for the brain? Scientists have discovered that kale can boost mood and help ward off depression. Unlike prescription medicine, these do not have any harmful side effects. Its phytonutrients, according to scientists, produce carotenoids, which can uplift the mood. It also contains omega-3 fatty acids that help fight the symptoms of depression. Protein, folate, iron, and vitamin B6 stimulate the production of dopamine and serotonin. Furthermore, kale is considered one of the best foods for treating diabetes. 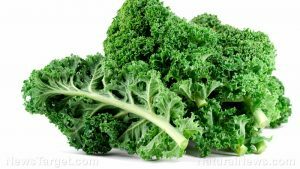 Kale contains sulforaphane, an anti-inflammatory acid, that helps control blood sugar and even cardiovascular injuries. Speaking of cardiovascular health, since kale is packed with potassium, it is effective in preventing stroke. Kale contains one of the most important nutrients for maintaining healthy skin: vitamin C. Kale contains more vitamin C than other vegetables. In fact, one cup of raw kale has more vitamin C than a whole orange. The vitamin C content will also help you treat bleeding gums and ensure that you’re not easily exhausted. With its cholesterol-lowering properties, kale is a great ally for the heart. A kale-rich diet can prevent clogged arteries, strokes, and cardiovascular diseases. Similarly, it helps promote blood circulation. Vitamin K present in kale helps promote blood clotting as well as promoting strong, healthy bones. Eating kale on a regular basis will also help you fight keep your eyes healthy. The nutrients lutein and zeaxanthin are responsible for lowering the risk of macular degeneration and cataracts. With the abundance of antioxidants present, kale is a great choice for those who want to avoid cell damage. It can help prevent oxidative damage, which is the precursor of certain diseases, like cancer. These help remove free radicals in the body so your system becomes resistant against substances that can cause illnesses. Lastly, kale is very effective in losing weight. It is very low in calories but packed with nutrients your body needs. It will make you feel full longer, so you don’t overeat. Kale is an awesome addition to your menu especially since it’s easy to prepare. You can use it on salads or pasta. You can even eat it raw. Others use it for juicing. But no matter how you consume this awesome super food, you can be assured that you will enjoy its health benefits. Check out these kale recipes. Kale can boost your mood. Kale helps prevent macular degeneration and cataracts. Kale can prevent diabetes and certain types of cancers. Kale can keep your hearth healthy.